Discussion in 'Guides, Case Studies and Tutorials' started by RedTrack.io, Oct 12, 2018. Our RedTrack team decided to prepare a most comprehensive walkthrough of Popunder world for you: we investigated the market, interviewed PropellerAds, the leading Popunder Ad Network, and put it all together in this guide. — Tips: how to convert Popunder traffic. — Super bonus: Interview with PropellerAds. Even more actionable tips and pieces of advice await you there! Let’s dive into Popunder world, and start with the basics. What is a Popunder ad? Popunder ad is a type of a full-size window that opens in the browser just under the main active window. To fully understand this ad format, it’s often opposed to Pop-up ad. In contrast to Popunder ad, Pop-up opens over the browser window. Due to an aggressive and intrusive approach of Pop-ups, this ad format is almost forgotten by now and replaced by Popunder. Since Popunder advertisement appears once the user closes their main browser window, it makes them less intrusive and more acceptable to users. How does Popunder ad work? Popunder is often used not just for attracting traffic (both web and mobile), but for capturing contact information like email, as well. Popunder runs perfectly on different platforms (desktop, tablet, or mobile). It makes them rather popular as they allow to reach the audience wherever they are. When a user clicks on the Popunder ad they would be either redirected straight to the advertiser’s page with an offer or directed to a pre-lander first. Note: there is no the only right answer — should you convert Popunder traffic via redirect to advertiser’s page or by means of the pre-lander. The best solution would be to split-test both scenarios and decide on the winning solution. 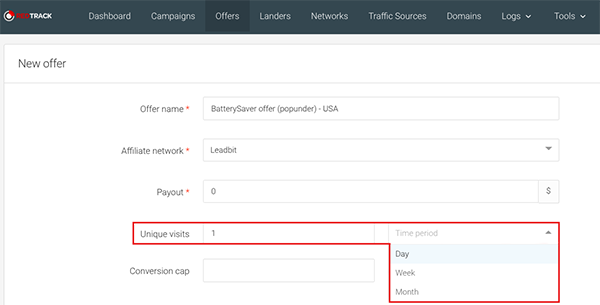 Two most popular pricing models for Popunder traffic are CPM and CPA. Popunder is quite a popular ad format among both newbies, and some expert affiliates, who from time to time shift to this traffic type to promote particular product types. Among best-performing verticals are coupons, pin submits, gambling, adult and dating, nutra. Ready to start with Popunder traffic? I bet you want even more actionable tips at this stage. 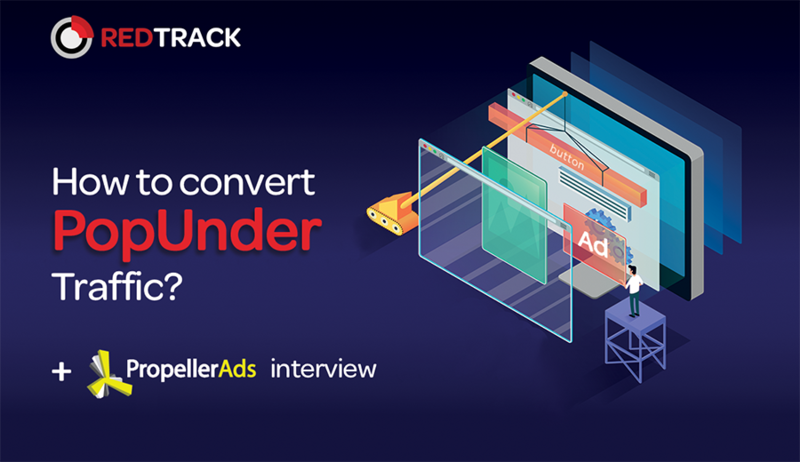 We asked Andrey Veselov, Sales Team Lead from PropellerAds, a few questions about Popunder trends in general and how to convert this traffic effectively. With no further delay, let’s dive into secrets and tips of Popunder. 1. Question: Quite a while ago, Popunder once and forever shifted Pop-up traffic. Since then it is considered to be one of the top ad formats. What are the reasons for such success? Answer: Despite the popular belief, Popunder is not an aggressive ad format – compare it to Popups, and you’ll have an idea of what kind of difference it made when first hit the market. Popunder is, in fact, all about users and their free choice, because an ad doesn’t block the website content and doesn’t force users to click – it’s pretty easy to close. Unraveling the secret of Popunder’s success, I can tell that it’s kind of an ad solution that makes the entire advertising ecosystem profitable. Webmasters are the main Popunder devotees – you can see this ad format on the majority of the biggest websites: it allows publishers to maintain the balance between the high profits and the positive user experience. And advertisers are getting conversions at low cost while creating immense brand awareness. It’s plain to see that Popunder is a fantastically versatile instrument, capable of handling a wide variety of tasks. Moreover, it’s extremely easy to use. Altogether these factors help Popunder preserve its place as one of the top ad formats. 2. Question: What future do you see for Popunder traffic? Answer: The future looks bright for Popunder. PropellerAds is the biggest provider of pop traffic worldwide with the enormous user database. The format also continues to evolve, now there are even more advanced opportunities to reach a target user. Recently, we’ve launched a unique targeting option – User Activity targeting. I can see that it seriously expanded advertisers’ toolkit, contributing to a higher CTR. We have great feedback from our clients. Apart from creating new features, we have been seriously researching the format with the final goal to understand what combinations of tools are leading to the best results. We ended up developing our own strategy: precise settings plus retargeting. You can read about it here. Not just technology changes, we can see that now Popunder attracts bigger brands that use Popunder as a part of their marketing funnel. So, the trend is obvious, key players are already here. I believe this process was triggered by the recent Google’s policy changes and intensified fight with misleading advertising. The perception of the format has shifted considerably, and the whole market will most likely benefit from this change. 3. Question: What pricing model do you recommend — CPA or CPM while working with Popunder traffic? Answer: Pricing model depends on the product you promote. For example, CPM and CPC give better testing opportunities, you can actually gauge the lead quality. Again, here we have our proprietary solution SmartCPM, and a new addition to our automated tools collection – CPA Goal that works in conjunction with SmartCPM. As for CPA – it doesn’t work for every product. From my experience, CPA is a better choice if you are eyeing easier conversions or your flow is short. 4. Question: What are the hottest GEOs for Popunder traffic? Answer: Traditionally, the U.S. is at the top by revenue. The entire Tier-3 is a major destination for testing offers, but overall, I can’t name specific GEOs because the popularity of regions and countries is tied to products and offers. 5. Question: Any piece of advice on targeting Popunder traffic? Answer: Always start with analyzing your product/offer. Once you are done with basic targeting settings, set up the User Activity targeting. If it’s a new product or you are testing completely fresh creatives – do begin with “High” activity group. These users are the most engaged ones. Thanks for the answers, Andrey! Popunder ad is a good idea for both newbies and expert affiliates. Still, it just doesn’t work the same way for everyone. Testing, cutting and optimizing your Popunder ad campaigns are the crucial steps of profit increase. Try to follow the above tips and convert your Popunder traffic. Share your experience in our Telegram Community, and we would be glad to distribute it further among RedTrack users. azgold, PropellerAds, s3k and 1 other person like this. Thank you for this. I'll explore this more. There are many other ways to do it! ............acquisition cost = $0.20 <<<does this make you money? Your popunder has to be a lovable annoyance -- and real people (not a bunch of bot junk). I agree that your popunder has to be lovable/catchy and good for short flow offers. Since Popunder runs perfectly on different platforms (desktop, tablet, or mobile), it makes them rather popular as they allow to reach the audience wherever they are. When a user clicks on the Popunder ad they would be either redirected straight to the advertiser’s pagewith an offer, or directed to a pre-lander first. For most people that do pops the popunder is the pre-lander. Addic7ed and SaraDVL like this.